Typically, when we think Yamaha, we think motorcycles or powersports stuff. (Or music – your author’s first drum kit was made by Yamaha.) 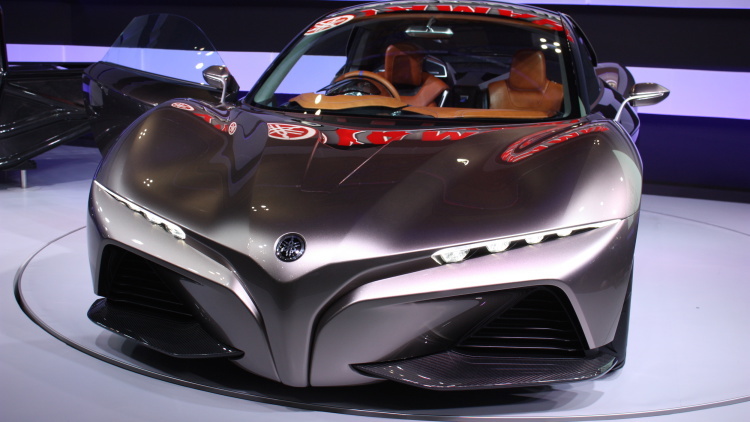 But now, we’re thinking cars, because Yamaha brought a really enticing coupe concept to this year’s Tokyo Motor Show. We don’t know much about the Sports Ride concept you see here, except that it’s super lightweight. It’s about as big as a Mazda MX-5 Miata, but only weighs 1,650 pounds. Peering inside the concept, we can see a stripped-out interior that’s similar to a Lotus or even an Alfa Romeo 4C. Hopefully that’s indicative of how this thing will drive, should it ever be built. Imagine one of these with a little turbo engine, or a reworked version of one of Yamaha’s motorcycle mills. The Sports Ride’s design was all done in-house, but if you think it looks like a downsized supercar, you’re not alone. That’s alright, though. It looks killer in person, and all we can say is: build it.